President Barham Saleh during his speech on the sidelines of the Baghdad International Book Fair 2109. "Economy News"
The Baghdad International Book Fair, sponsored by the Association of Private Banks and the Central Bank of Iraq, was launched for 11 days with wide local and external participation. The exhibition was opened by President Barham Salih and a number of prominent figures. The President of the Republic, Barham Salih said in a speech during the conference, attended by the economy News, "Your contribution to the Baghdad exhibition is a gesture, because I found effective and promising participation by writers and publishers," pointing out that "Baghdad is considered a basic market for the book, and our capital was and still is writers and thinkers A vital product of the book. " "Baghdad is a center between the East and the West for culture and the arts," Saleh said. "I hope the exhibition will be an active element in promoting thought, culture, publishing books and promoting civil life in Baghdad." "We will aspire to complete tax exemption for books in the future," he said, adding that "political life is in a phase of transformation, through more reforms and procedures, especially after the elimination phase of the preacher." "It requires everyone to create a clean environment free of extremist and terrorist ideas," Saleh said. "The crime of Muszoub obliges us to work exceptionally for the arrest of the perpetrators and the eradication of terrorism," Saleh said. The president of the republic noted that "a few days ago, a youth activity was launched in Baghdad that adopted the slogan" I am an Iraqi. I read to spread the spirit of culture in society. "He said that" ), Which is an eloquent message to respond to extremist ideas. For his part, Minister of Culture Abdul Amir Al-Hamdani delivered a speech to the Prime Minister saying: "Yesterday we issued a decree to reduce customs duties on imported books to promote the spirit of culture in Iraq." "We are completely open to the cultural sectors, and the Ministry of Culture will be transformed from a ministry of personnel to a ministry of intellectuals," he said. "Iraq, which made civilization, is capable of spreading culture." The Minister of Culture concluded by saying, "We must strengthen national identity and be a culture of umbrella, which is protected by all," noting that "Baghdad returned to the cultural center again." In turn, the President of the Federation of Publishers Abdel Wahab Radi said in his speech during the conference that "Baghdad is our return every year to meet the writers of the book to emerge from a workshop of publishers, writers and readers, in order to converge visions through this forum." Al-Radhi added that "the purpose of this exhibition is to provide Iraqi culture with all that is new, and I wish the success and success of the exhibitors and the service of Iraqi culture." "I thank all Sanders and supporters of the Ministry of Culture, the Iraqi Media Network, the Central Bank, the Iraqi Publishers Association, the Iraqi Private Banks Association and thank all the service and security departments and institutions that have made efforts to serve the book fair." 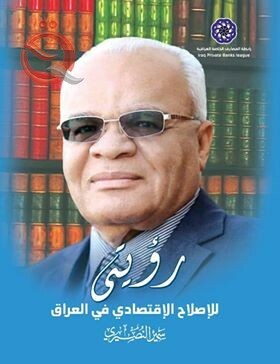 President of the Federation of Iraqi Publishers, Abdul Wahab Radi, thanked the Iraqi Central Bank and the Association of Iraqi Private Banks for supporting and sponsoring the Baghdad International Book Fair during the current session which started on Thursday with the participation of 700 local, Arab and international publishers. "I express my thanks and appreciation to the Central Bank of Iraq and the Association of Iraqi Private Banks for supporting the current session of the Baghdad International Book Fair," Al-Radi said in a speech at the opening ceremony of the Baghdad International Book Fair. The President of Iraq Dr. Barham Saleh opened the Central Bank of Iraq at the Baghdad International Book Fair 2019 in the presence of the Governor of the Central Bank of Iraq Mr. Ali Mohsen Ismail. The President praised the role of the Central Bank to support the Book Fair because of its cultural and literary repercussions on the Iraqi street, especially on seekers of science and culture. For his part, the Governor of the Central Bank, Ali Mohsen Ismail, said that the wide participation witnessed by this exhibition in the presence of six hundred and fifty publishing houses from 24 countries presented hundreds of intellectual and cultural titles in various fields. This underscores the importance of culture in Iraq and its return to its customary Arab and international status. The importance of the convergence of civilization in a place has a historical and cultural identity, especially this is what led us in the initiative of Tamkeen, which is sponsored by the Central Bank of Iraq and contribute to the Iraqi banks to support this forum as well as participate in some of its activities and intellectual. The President of the Republic, Barham Saleh, the Governor of the Central Bank Ali Alaq and Minister of Culture Abdul Amir Al-Hamdani, Secretary-General of the Council of Ministers Mahdi Al-Alaq and a number of officials of private banks at the Baghdad International Book Fair, praised the efforts of banks belonging to the Association of Iraqi private banks to develop the Iraqi economy. Al-Ahli Bank of Iraq, Ashour International Bank, Islamic Investment Bank of Kurdistan, Ki-Card, International Islamic Bank and Iraqi Small and Medium Enterprises Company participated with the participation of the Central Bank as sponsors of the International Book Fair held from February 7 to 18 at the Baghdad International Fair 2019. 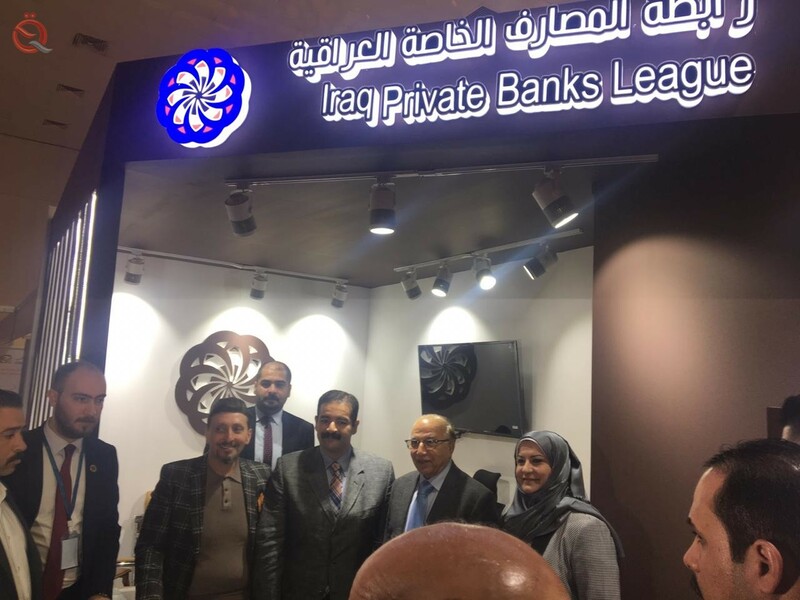 And visited the pavilion of the Association of Iraqi private banks for this day President Barham Saleh and briefed on the activities and services of the Iraqi banking sector through banks located in the wing. The pavilion was visited by the Governor of the Central Bank of Iraq Ali Alaq and the President of the Association of Iraqi Banks Wadih al-Hanal, where they were briefed during their visit to the Association's wing on all activities in the development of the banking business of participating banks. The secretary also visited the Council of Ministers Mehdi Al-Alaq and Minister of Culture Abdul Amir Al-Hamdani. The President of the Republic Barham Salih, on Friday, the importance of the role of the Federal Supreme Court in the consolidation of the provisions of the Constitution and the law. "The President of the Republic Barham Saleh visited the pavilion of the Federal Supreme Court at the Baghdad International Book Fair," said the spokesman of the court Ayas al-Samuk, in an interview with Alsumaria News. The Samok said that "the wing welcomed the visit of President Saleh, and gave him the shield of the Federal Supreme Court to honor his role." The Samuk that "the President of the Republic expressed his happiness to visit the pavilion of the Federal Supreme Court, and praised the role of the constitutional judiciary in Iraq in the consolidation of the provisions of the Constitution and the law." The Baghdad International Book Fair was launched with the participation of hundreds of Arab and foreign publishing houses, which praised the level of organization and great public interest in the food of mind, the book. This is what the Baghdad International Book Fair witnessed through the level of government representation and organization, as well as the participation of more than 600 local, Arab and foreign publishing houses from 23 countries, which added a different flavor to the exhibition in its current session. Arab culture met on the Edim Baghdad, and attracted lovers of the book from every corner in an attempt to satisfy the minds eager to knowledge and fond of the magic of books. It is worth mentioning that many messages carried by the Baghdad International Book Fair in its current session, comes in the forefront of popular appeal for the acquisition of books. This brings to mind the years of booming Iraq's reading in the 1970s, giving hope for a return to a war-ravaged country. Noor Noor, the executive director of the Noor Foundation, said that humanitarian aid was allocated until 2017 when Nour Noor Humanitarian was established and noted the organization's projects and actions in support of poor people and lifting them out of dire reality. 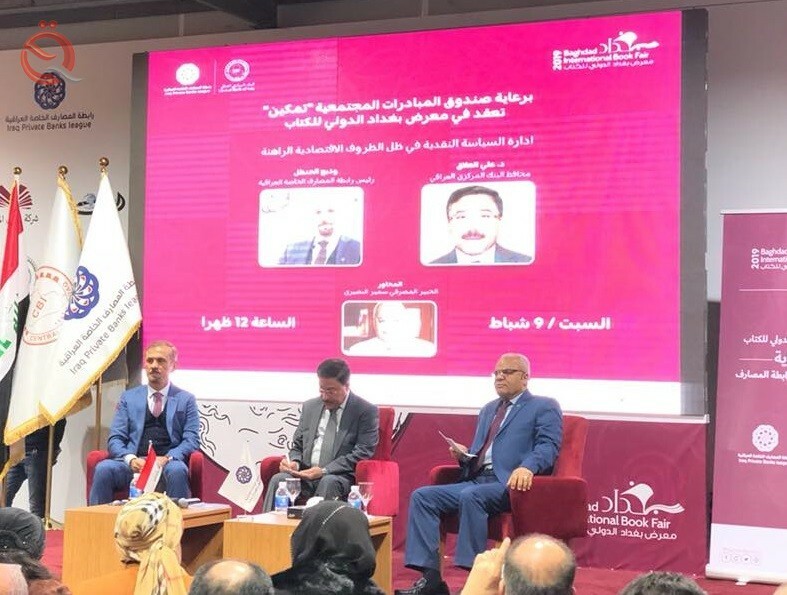 The Association of Iraqi Private Banks held a symposium of the Federal Supreme Court "tasks and achievements" within the activities of the second day of the Baghdad International Book Fair 2019, which is located on the ground of the Baghdad International Fair under the slogan "One book more than life . " The participants in the seminar today, Anmar Hadithi, while the session included an introductory speech to the researcher in the constitutional judiciary Judge Salem Roudan al-Musawi on the jurisdiction of the Federal Supreme Court and the tasks performed by the achievements and achievements during the period of work , also talked about the history of the Iraqi judiciary and the courts and its association with everyday life, There were discussions of interested audience and legal specialists . 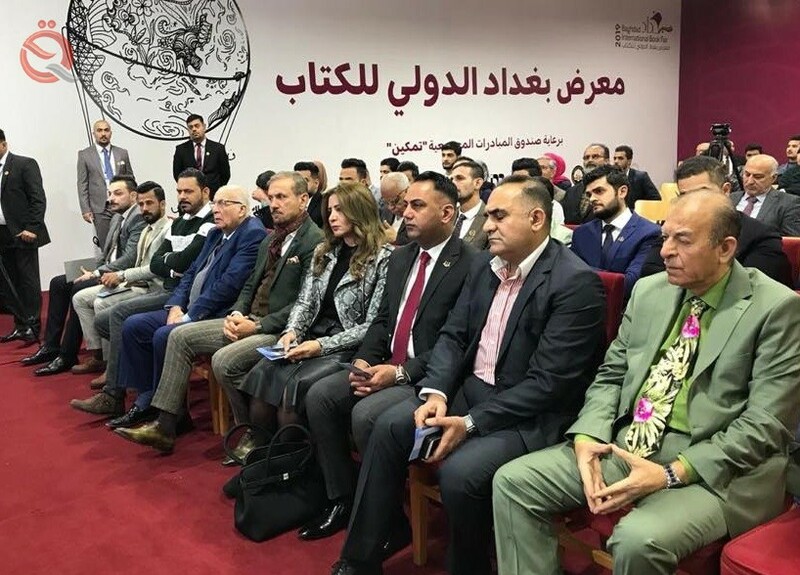 The symposium was attended by the Governor of the Central Bank of Iraq Ali Alaq and the President of the Association of Iraqi private banks Wadih al-Hanal and the captain of lawyers Ahlam Lami and the spokesman of the Supreme Judicial Council Abdul Sattar al-Birqdar. The president of the Association of Private Banks Wadih al-Hanalal called on the Higher Judicial Council to update laws and electronic systems in order to keep abreast of the modernity and development witnessed by the world. Judge Salem Roudhan replied that the council is working on such laws, including the law of electronic signature, and other laws related to electronic piracy of the official state sites, and then answered questions and questions of those present about the judiciary and the duties of the Federal Court . 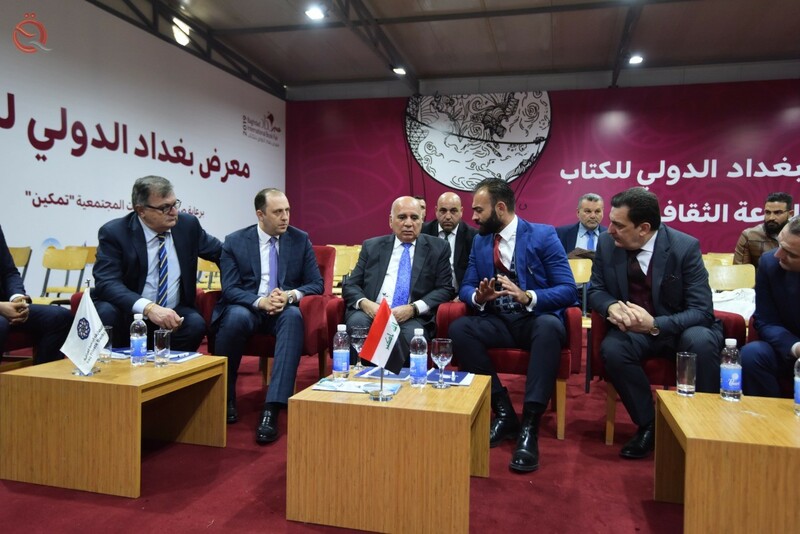 The President of the Federal Court of Iraq, Judge Medhat al-Mahmoud, on Sunday, the pavilion of the Association of Iraqi private banks at the Baghdad International Book Fair, while praising the efforts of the Association in developing the wheel of the Iraqi economy. After visiting the pavilion, Al-Mahmoud and the delegation of judges briefed him on the mechanism of the Association of Iraqi Private Banks and its efforts in training human resources for private and government banks, as well as recent community initiatives. The President of the Federal Court praised these efforts, noting that such efforts would contribute to the advancement of the economic sector in the country. 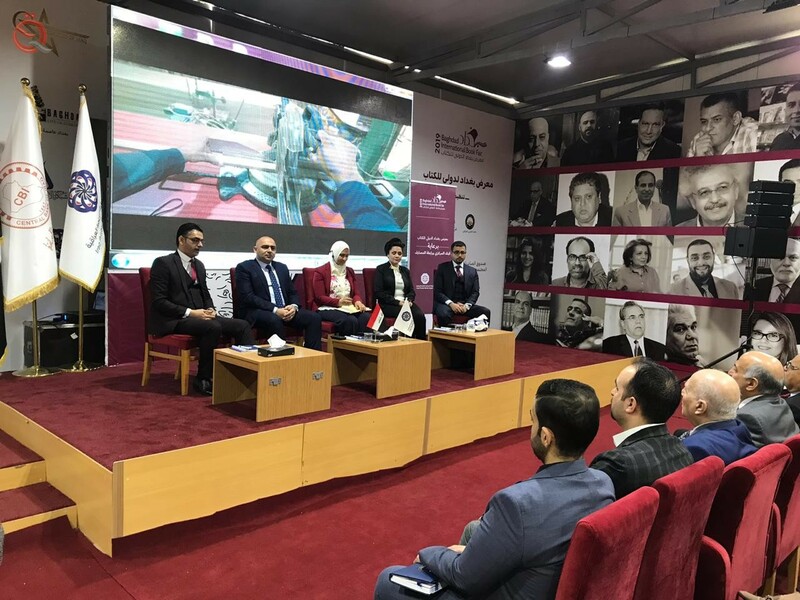 The Association of Iraqi Private Banks held a seminar on "Managing Monetary Policy in the Current Economic Conditions" on Saturday, the third day of the Baghdad International Book Fair under the theme "One book more than life". The symposium began with a question by the Governor of the Central Bank about how the bank faced the challenges after the events of 2014, between the Governor that the economic side is significantly affected by the economic, social and political events, the most affected by others, as Iraq was subjected to a war with " Oil to 50 or 70%, and there was also another challenge to the exposure of the Central Bank and the banking sector in the provinces that entered, calling for the loss of its total existence of human and material resources, for example branch of Nineveh and branches of banks amounted to loss of about 2 trillion dinars. "The other challenge is the fear of the country being in a state of recession and instability," he said. "The other challenge concerns the security aspect by controlling the movement of funds and preventing them from subverting terrorists. So the central bank has taken measures to prevent this . The governor also said during the seminar that the bank had to maintain the exchange rate, because the dinar's decline against the dollar is a blow to citizens. We succeeded in this challenge and maintained the exchange rate. He said that the good partners are the basis for funding community initiatives. The Association has worked on many social initiatives such as rehabilitation of bridges, Baghdad initiative, providing study trips to schools and supporting many projects such as the Academy of Cancer Warriors Basra, as well as the project of the station, which won the approval of international bodies. 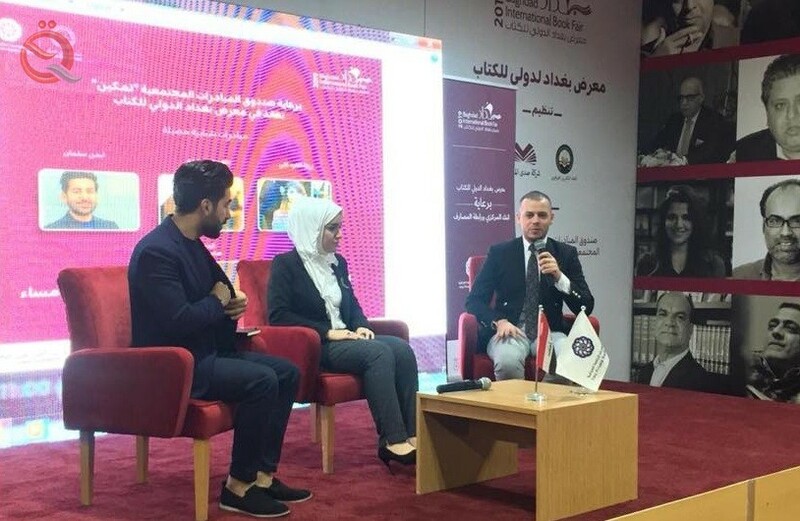 Iraqi Private Banks Association holds seminar on "Financing SMEs"
On Monday, the Association of Iraqi Private Banks held a seminar on "Financing Small and Medium Enterprises" under the auspices of Tamkeen Fund for Community Initiatives, as part of the fourth day of the Baghdad International Book Fair 2019. The seminar started with the participation of a member of the Central Bank's Small and Medium Enterprises Financing Committee, Bilal Qasim Mohammed, Director of Loans Department for Middle East Bank Mohammed Adeeb, Head of Credit Department at Ashur International Bank, Alaa Faeq, National Bank Representative Hadeel Taha. During the meeting, member of the committee of financing initiative Bilal Qasim Mohammed, and attended by "Economy News", that "in 2018 there was a large tendency for banks to participate in the initiative of financing the small and medium projects launched by the Central Bank, where the loans granted by them 71 billion dinars and now arrived The amount of loans granted 80 billion dinars. " "The initiative has been able to fund 2500 projects to date and the number is increasing." He pointed out that "there is a large turnout by private banks to participate within the initiative and the number of banks more than 33 private banks involved in the initiative of financing small and medium enterprises as well as government banks," noting that "the banks are working to give opportunities for projects already exist on the ground with Real feasibility study of the project. " He added that "we believe in the future through the direction of banks and granting credit access to advanced stages in the project during 2019, especially after the talk of the Governor of the Central Bank on the possibility of raising the ceiling of funding for large projects and feasibility study of up to 5 billion dinars." For its part, the managing director of guarantees company Rali Saleh said that when the initiative was launched in 2016 there was a real halt to the lending market for small and medium enterprises, but after the launch of the initiative by the Central Bank we have seen a large turnout to take advantage of loans. Al-Saleh said that "the Iraqi company for guarantees during ten years spent 133 billion dinars, while the initiative of financing the small and medium-sized projects have achieved a rate of disbursement of loans during the years 80 billion dinars, where is a major achievement and a remarkable success of the initiative." "The Central Bank continues to promote this initiative and has future plans to deliver the initiative to all applicants for small and medium-sized enterprises," she said. "This seminar is an opportunity to clarify ideas and some things that are not understood by citizens regarding the SME financing mechanism launched by the Central Bank," said Mohammed Adib, director of loans for Middle East Bank. "Small and medium-sized enterprises are unique to the rest of the projects registered in the country. For example, the financing of the company is different from a carpenter's workshop, so all lenders and banks are required to study the specificity of the projects submitted through the feasibility study and know the financial returns that will achieve the project and ensure the sustainability and success. The project ". 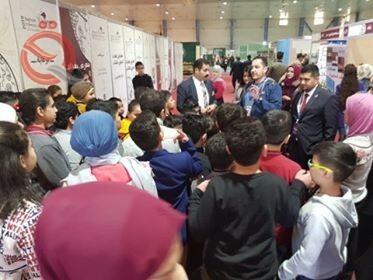 The Association of Iraqi Banks has established an initiative to distribute books free of charge to a group of students by inviting them today to take advantage of roaming the corridors of the Baghdad International Book Fair, believing in the book's role in the development of the Iraqi child and improve his mental level. The book is the nucleus of the era without rival to the development of Iraq, and therefore called for the passage of 51 children and confirmed their support with gifts of books that fit their age, in addition to their participation in a symposium held within the exhibition of the book has won the audience and sympathy with the development of the capabilities of the Iraqi child first and the Iraqi citizen. 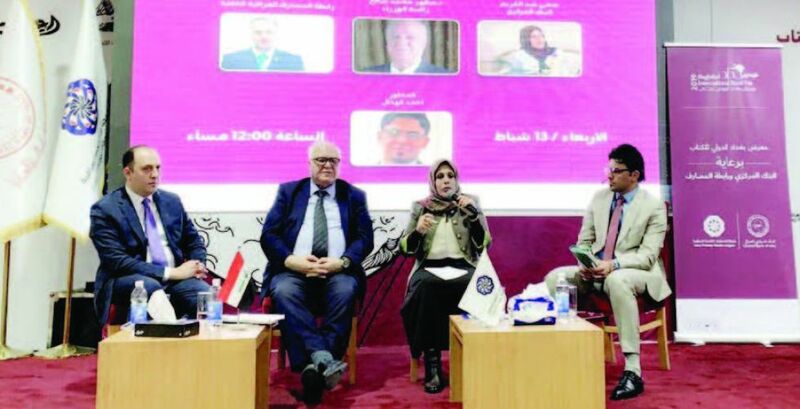 The Association of Iraqi Private Banks on Wednesday held a seminar on the concept of financial inclusion within the seventh day of the Baghdad International Book Fair, which was held from February 7 to 18 this February. Participated in the symposium, the Director of Payments in the Central Bank of Iraq, Subhi Abdul Karim, the economic adviser to the Prime Minister appearance of Mohammed Saleh and the Executive Chairman of the Association of Iraqi private banks Ali Tarek, while the hubs Ahmad Hazal. The appearance of Mohammed Saleh, speaking at the seminar on mechanisms to combat poverty on the basis of financial inclusion, explaining how it provides financial services to weaken the social segments at the lowest cost and a high degree of informatics, and also that the United Nations aims to achieve financial inclusion for sustainable development, The World Bank will launch a financial inclusion initiative next year to bring people closer to the financial system, while stressing that Iraq has jumped from traditional financial coverage to digital financial inclusion. For its part, the director of payments in the Central Bank of Iraq, said that the central bank concerned with the infrastructure to support financial coverage, as the proportion of financial coverage in Iraq below the level of ambition and we hope in 2020 to achieve a larger proportion. She stressed that the citizen should enjoy the financial culture in order to raise the community in financial affairs, especially as the project is specialized in providing services to all governorates without exception, considering that the financial culture is necessary, after agreement with the Ministry of Higher Education to approve the presence of Booth for banks throughout the year within University to provide inquiries and banking education for students. The Executive Director of the Association of Iraqi Private Banks Ali Tariq explained that all layers of society need financial service, pointing out that the participation of the Association of Banks and private banks in the Book Fair is one of the means to promote the idea of ​​financial inclusion, noting that the banking sector needs to re-confidence By the state and thus citizens' confidence in the banks. He added that the number of banks and ATMs increased significantly and we hope to expand further, even though we have not reached the level of financial education in the face of major challenges in the country such as unemployment and the absence of a rural economy, while stressing that the achievement of financial inclusion A gradual process needs time. Association of Banks holds a seminar on "Social responsibility of the financial and banking sector"
The Association of Iraqi Private Banks held a seminar on "Social Responsibility for the Financial and Banking Sector" on Tuesday, 6th of Baghdad International Book Fair sponsored by the Association and the Central Bank for the period from 7 to 18 February 2019. Participated in the symposium was a spokesman for the Central Bank of Iraq, Bassem Abdul Mahdi, Director of the Department of Engineering initiative Baghdad Ahmed Bassel and the decision of the committee to support the drama Ahmed Sharji and Captain of Iraqi artists Jabbar Jodi, while the axis was easier Jabar. The bank's initiatives and its partners in various technical and engineering sectors and the Tamkeen initiative to support projects and community initiatives have been addressed. The Bank's spokesman confirmed that the Tamkeen initiative in 2018 spent about half of Tamkeen's budget on technical initiatives. The symposium also dealt with the initiative of "Baghdad" to rehabilitate 20 squares in the capital Baghdad and how to select the materials from the creation of a relatively low-cost, in order to save money from waste, as well as planning that the age of these squares long with the importance of conservation and maintenance periodically, In addition, the reason for the lack of completion of Paradise Square has been emphasized, and it was emphasized that the work is near and completed with the rest of the squares. The symposium also discussed the need to support the Iraqi drama and the sustainability of that support in order to keep abreast of the Arab artistic works and its competition and benefit from foreign expertise. A meeting between Finance Minister Fuad Hussein, the Association of Iraqi Private Banks, a number of private banks and a number of project representatives supported by the Tamkeen Community Initiatives Fund was held at the seminar hall of Baghdad International Book Fair. The Executive Director of the Association of Iraqi Private Banks Ali Tariq to the great role played by the Central Bank of Iraq in support of community initiatives and sponsorship of the past and current sessions of the Baghdad International Book Fair and in cooperation with the Association of Iraqi private banks. He added that the Association of Banks is working hard with the Central Bank to develop the banking sector. On the other hand, the representative of the Bank of Baghdad at the meeting, on double taxation and the great damage done to the banking sector and the need to find an urgent solution to this problem. He added that these measures reflected negatively on the private banking sector and communicate with "
, The Academy of Cancer Fighters, Tala, said it was necessary to support children and provide them with urgent treatment because failure to provide treatments led to the death of many children. Nour's executive director, Noor Ayman Salman, called on Finance Minister to allocate land for the construction of a cancer hospital in Baghdad. In conclusion, Minister of Finance Fouad Hussein praised the efforts of the Central Bank and the Association of Private Banks in supporting the community through the cultural and humanitarian projects that they have supported in the past two years. Samir Nusseiri, adviser to the Association of Banks announced on Friday the issuance of his new book, a volume of 800 pages and includes four books looking at economic and banking reform in a ceremony attended by the agency "Economy News" and conducted by Professor Dr. Hashim Dean of the Faculty of Information at the University of Baghdad and in the presence of economic elites and university professors and students Postgraduate studies in administration, economics, finance and banking at the universities of Baghdad, Al-Nahrain, Mustansiriya, Iraq and a number of visitors to the exhibition and media coverage. of the new economic approach to Iraq, which adopts the mechanisms of transition to a social market economy in accordance with Article 25 of the Constitution to re - evaluate and review the structural system and structural, institutional and legislative management of the economy. As well as review and evaluate the basis of coordination between the financial and monetary policies and review the structure and presentation of the balance sheet and the transition from balancing items to the budget programs . the years 2018-2022 and the vision of Iraq 2030 and activating the decisions reached by the Joint Expert Committees established in the Council of Ministers in 2015 for each productive economic sector to implement the road map for each economic sector. And evaluation . sector to re-draft, amend and issue new laws and activate all the laws issued and currently suspended, which govern the management of the economic process and serve the implementation of the road map which is approved, namely all the laws of the legislative environment that regulate and manage the Iraqi economy in its new curriculum, Government-private sector partnership and local product protection law . as specified in the private sector development strategy for the years (2014-2030). Committee of Counselors and all opinion bodies in the ministries. up the implementation of the decisions of the Council of Ministers. 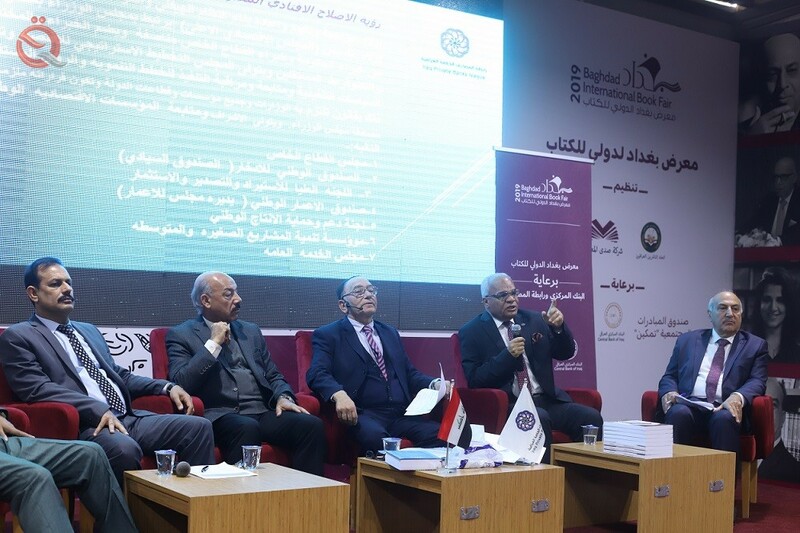 On the sidelines of the Baghdad International Book Fair, the Association of Iraqi Private Banks organized a symposium on the role of academic coordination with universities in the development of the banking sector. 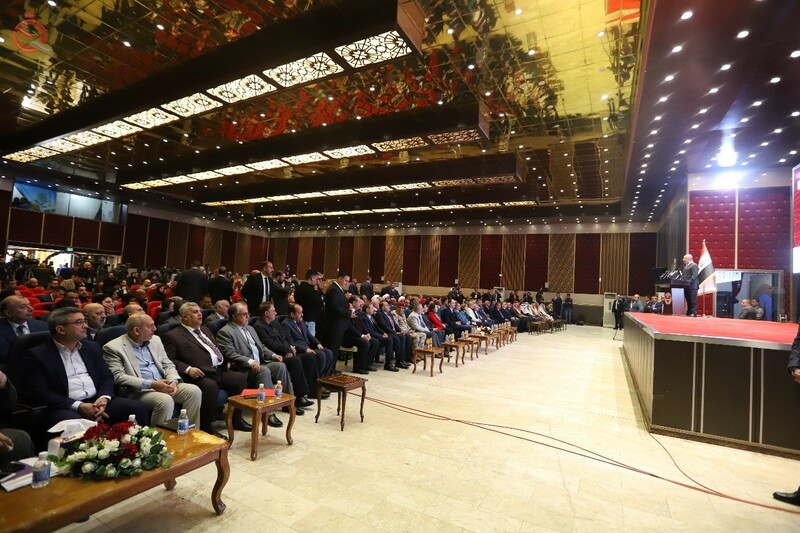 The symposium was attended by university professors and postgraduate students in the faculties of administration, economics, finance and banking in Iraqi universities, a number of economic and banking elites and a large audience of visitors to the fair. The symposium, which was moderated by the Dean of the Faculty of Information, Dr. Hashim Hassan, presented the book "My Vision for Economic Reform in Iraq" to the adviser of the Association of Iraqi Private Banks Samir Al-Nusairi, which included a structural, institutional and legal vision to reform the national economy with a volume of 800 pages. Dr. Abdul Rahman al-Mashhadani, from the Iraqi University, talked about the work of the Academic Coordination Committee and achieved significant results in the development of banking work and rehabilitation of banking cadres and a proposal of up to 17 bank research as theses for the master and doctorate. Al-Mashhadani said that the Association of Iraqi Private Banks has adopted a distinguished award for outstanding research, noting that many students are now writing research under the titles related to the banking sector and ways to promote it, including research on credit and credit risks and credit crunches and financial coverage. 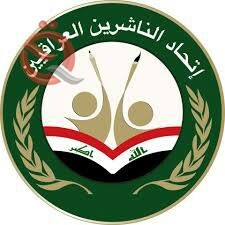 For his part, Dr. Starr al-Bayati of the University of Nahrain, said that the Committee through coordination with the Ministry of Higher Education was able to obtain preliminary approval to develop a certificate of banking diploma for staff working in banks exclusively, and was set for the year 2019 for academic coordination with Iraqi universities. And thanked Dr. Abdul Salam Left Said of the University of Baghdad, the Association of Iraqi private banks to organize this large forum and the definition of specialists in the work of the competent committees in the banking sector. On the sidelines of the seminar, one of the survivors was honored by the fist of the "Da'ash" terrorist in the city of Mosul Abtahl Mohammed Yousef, who holds a master's degree with distinction in physical education and sports sciences by a representative of the Ministry of Youth and Sports. 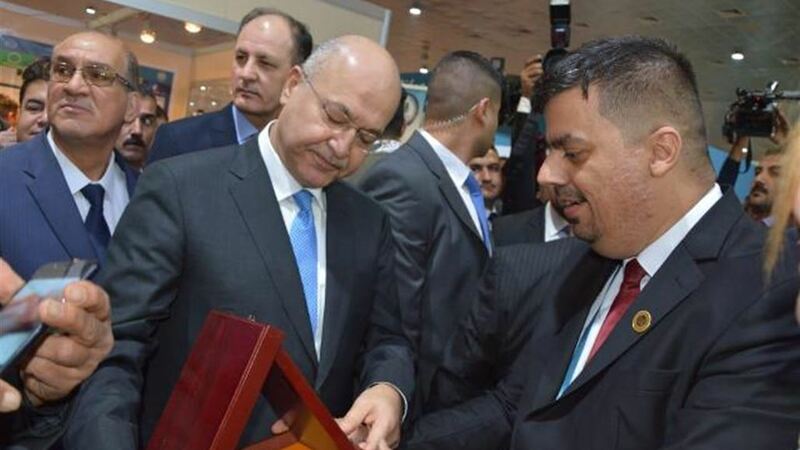 Prime Minister Adel Abdul Mahdi visited the International Book Fair in Baghdad. "The proliferation of book fairs in Baghdad and the provinces is a positive thing and the demand for it is joyful. It shows that the book did not die as it is said," Abdul Mahdi said in a statement. The Prime Minister toured the pavilions of the publishing houses and looked at their scientific and literary output. He also met with a number of the exhibition's leaders and praised the citizens and praised their participation in this cultural event. During his visit to the exhibition, Abdul Mahdi received an exciting book entitled "Letters to the Man of the State" in the political philosophy of Naji Abbas Al-Tikriti. 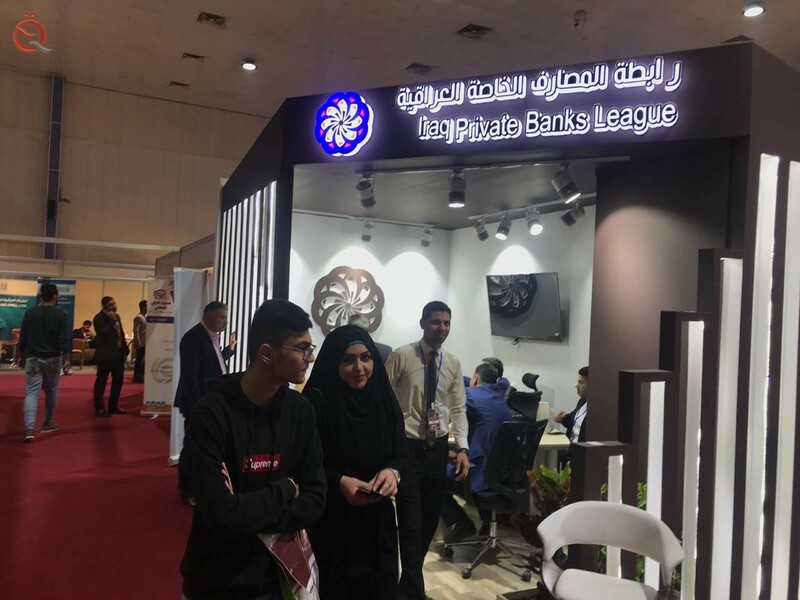 The Association of Iraqi Private Banks held a symposium on Saturday on the sidelines of the tenth day of Baghdad International Book Fair sponsored by the Association and the Central Bank of Iraq for the period from 7 to 18 February at the ground of Baghdad International Fair. 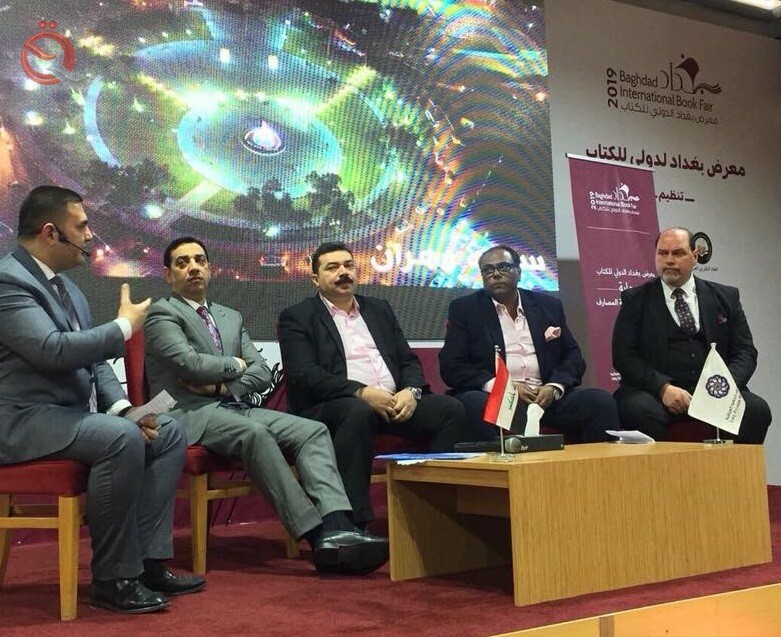 The guests of the symposium were a spokesman for the Supreme Judicial Council Judge Abdul Sattar Birekdar and Judge Iyad Mohsen Damad, while the seminar was discussed by Anmar Al-Hadithi. The seminar dealt with the role of the judiciary in disseminating the legal culture. It also talked about the dangers of the media in contradicting an unrealistic picture of an incident without completing investigations in the court. The judges stressed that the council has an official website for communication between citizens and judicial authorities, and called on journalists to have some legal culture. The Deputy Executive Director of the Association of Iraqi Private Banks made a statement expressing the Association's readiness to support specialized media in the judiciary or the economy. In turn, Judge Abdul Sattar al-Bayrakdar expressed his readiness to support such a project by giving specialized courses in sensitizing journalists. The seminar concluded by opening the door of dialogue and interventions with the attendees, which focused on several aspects dealt with the work of the judiciary and its relation to the media. On the sidelines of the Baghdad International Book Fair, an economic seminar was organized under the auspices of the Tamkeen Community Initiative Fund, which tackled the reality of financial inclusion and its impact on improving the national economy and the family economy and the role of banking culture in enhancing the economic reality. The symposium, which was chaired by the economist Ahmed Hazal, stood at important axes, most notably the relative interaction between the citizen and the banking system, and the importance of bank accounts and their role in regulating the financial market. Director General of payments in the Central Bank of Iraq, said: "The development of the reality of payments is a central objective, and interact with developments in this chapter and we are keen to start where the world ended," noting that "the Central formed a Supreme Committee for financial inclusion by Institutions concerned ". She stressed that "the financial coverage requires infrastructure that is the basis for starting peace, and there must be an educational and educational role for institutions towards this important chapter," noting that "the central identified the important requirements for the management of this process by companies and institutions to upgrade services." 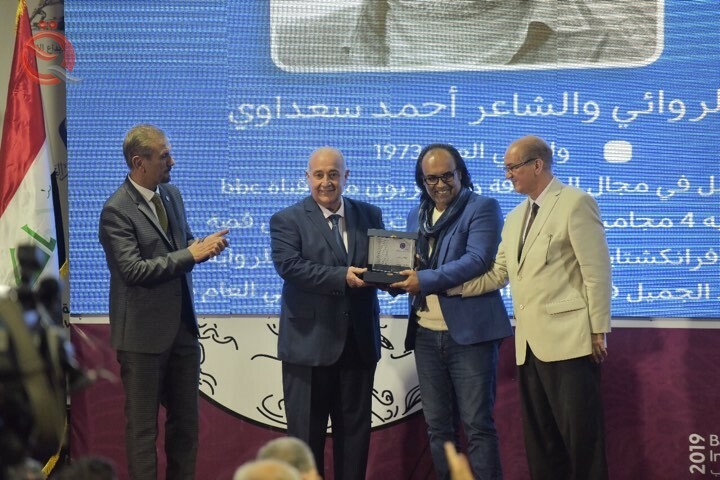 The Iraqi Association of Private Banks honored a number of Iraqi innovators who influenced the intellectual and cultural movement in Iraq at the closing ceremony of the Baghdad International Book Fair of 2019. The Association of Iraqi Private Banks said in a press statement received by the "Economy News" The Iraqi special a number of important figures in the Iraqi society, which influenced the intellectual movement, scientific and cultural during their long career shield of excellence and creativity, "noting that"The characters are Dr. Shatha Salem, novelist Ahmed Saadawi, playwright Aziz Khayoun, the president of the Fine Artists Association Qassim Sabti, the sculptor Munther Ali, the Iraqi economist Bassim Jamil Antoun, the poet Aya Mansour, the civil activist Saqr al-Zakaria, the painter Star Luqman, the president of the publishers' union Abdelwahab Radi, the children Mahdi and Montazir, who practice kikukshankai, On the black belt of Japan. " She added that "the Association of Iraqi private banks appreciate and appreciate the role played by these figures in support of society," asserting that "the Association of private banks are continuously supporting Iraqi culture and art through initiatives launched in cooperation with the Central Bank of Iraq." On the other hand, Iraqi artist Shatha Salem said, "I am proud today to stand before you in this great ceremony and expressed my thanks and gratitude to the Association of Iraqi Private Banks and the Central Bank for their honor and support for the book fair." Iraqi art and culture Will remain a donor. " 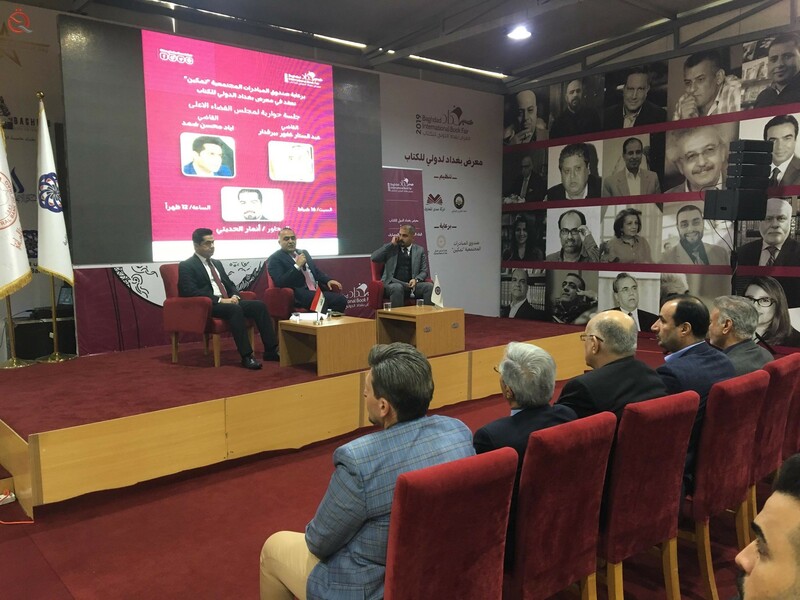 "I thank the Iraqi Private Banks Association for this honor, the sponsors who sponsored the book fair, and the salute to everyone who visited and succeeded the book fair at this great cultural event," said Iraqi novelist Ahmed Saadawi. At the end of the ceremony, Ali Tariq, on behalf of the staff of the Association of Iraqi Private Banks, presented a unique symbol of creativity to WADE president Wadih al-Hanal, who said in a speech during the receipt of the symbol that "the association team acts as a single body. As they have succeeded in organizing this forum, in addition to the key partners, including the Governor of the Central Bank of Iraq Ali Alaq, banks and exchange companies and the Union of Publishers and civil society organizations, "pointing out that" the Association of Iraqi private banks is continuing to achieve its objectives.